hd00:11POV of pool shot on a vintage worn out blue cloth pool table in slow motion. 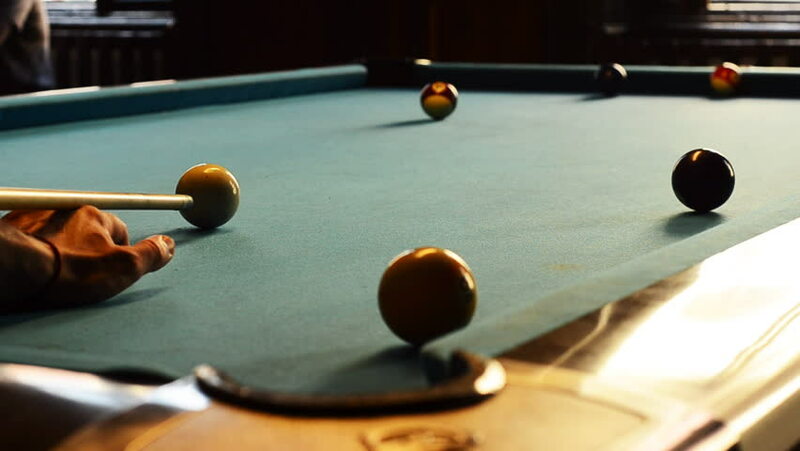 Sports game of billiards / 8 ball. Closeup of the 11 ball that goes in.